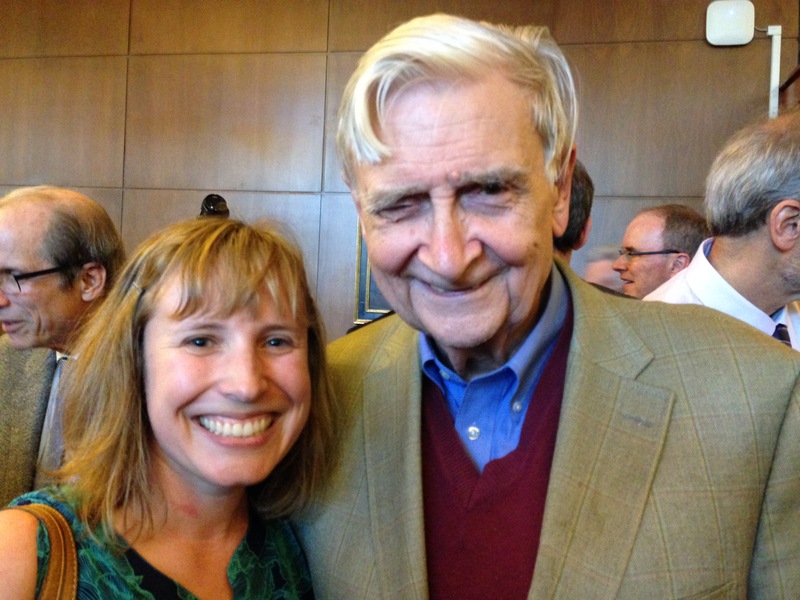 With my conservation hero, Professor E.O. Wilson. This week, I had the rare opportunity to meet Professor E.O. Wilson and hear him rally National Park leaders, academic scientists, and conservationists at U.C. Berkeley’s Park Summit to unwaveringly protect Earth’s biodiversity. His powerful charge for us is to set aside half of the planet for the other 10 million species on Earth which asks us to simply value other species as much as our own and approach conservation with innovation so we can succeed. We can do this and we must do this. His keynote address kicked off a two-day conference on the next century of research and National Parks, commemorating the historic gathering at U.C. Berkeley in 1915 which led to the creation of the National Parks Service, America’s best idea. During the conference, we explored the evolution of park creation and management. The earliest motivation for building parks was to set aside amazing features of our landscape for society’s enjoyment and protect natural resources so that their scenic qualities would not degrade for park visitors. Over the last century however, our park ethic has expanded to value natural resources for their own intrinsic values and manage parks for nature’s sake as well as our own. E.O. Wilson will not compromise on the critical importance to protect all life on Earth and we are so lucky to have a fearless champion for biodiversity. He is not worried about upsetting the people who disagree and his rallying cry for pure conservation inspires those of us who work to make conservation happen on the ground. We all know that conservation is perpetually an act of compromise, but E.O. Wilson gives us an aspiration goal to never lose sight of and it spurs us onward.